For the past six months or so I have been working hard on finding my perfect skin care routine. It took me a while to realize how important it is to look after our skin and to stick to a routine that you trust and that truly works. I have slowly discovered the products that work for me and I can honestly notice a massive diference on my skin. I have realized just now that i haven’t done an updated skin care routine post and I do have a few new things that I have to show you but first, I decided to tell you all about the new L’oréal Paris Pure Clay Face Masks. L’oréal Paris recently has been releasing a lot of new products that I honestly have been falling in love with and this face mask is one of them. Since I have dry, dull skin, I thought that the new L’oréal Paris Pure Clay Glow Mask would be ideal for me. This face mask is a powerful blend of three pure clays combined with red algae extract that is known for its brightening properties. The three pure clays used are koalin, montomorillonite and ghassoul, each one with specific functions that all combined will do miracles to your complexion. From absorbing impurities and excess sebum to eliminating imperfections and cleared and brighter complexion, this product give you all you need if you have dry and dull skin. The product comes well packed in a beautiful glass container, feeling much more expensive than it really is – it retails for £7.99, a great price for an amazing product. To apply the product, i use a Real Techniques Pointed Foundation Brush that distributes the product easily without making a big mess. This face mask has small particles that gently exfoliate your skin either when you are applying or removing the product, giving a very smooth feeling to your skin. I leave if for 5 to 10 minutes as recommended and remove it with warm water or a wet towel, very gently. After the first application, I honestly felt like my face was as smooth as a baby bum. They recommend you to use it two to three times a week. I have only used this product for the last week with two applications a few days apart and I truly believe that that is more than enough. I know that for some, using a product twice is not enough for an honest review but let me tell you that this is different! 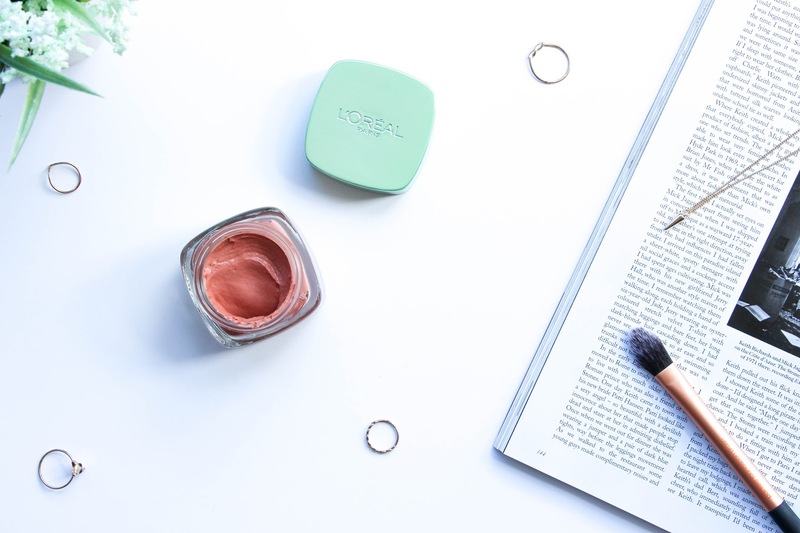 There is always that product that you fall in love with from day one and the L’oréal Paris Pure Clay Glow Mask is one of them. If your skin if far from dry don’t you worry, there is more to the Pure Clay collection. Apart from the Glow Mask, they also have a Detox Mask that detoxifies and clarifies your skin and a Purity Mask that purifies and mattifies the skin. All three masks have the same three pure clays and what varies is the extract added to them. 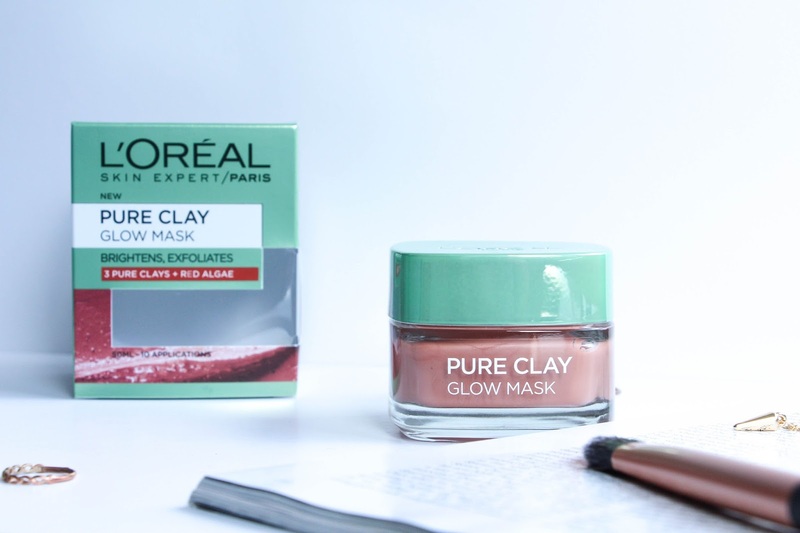 I truly advise you to try one of their masks and if you are unsure of which one is ideal for your skin type, they have all the information on the L’oréal Paris Pure Clay Face Masks on their website. Is this a product that you would like to try?